So cute! I love the knee socks. 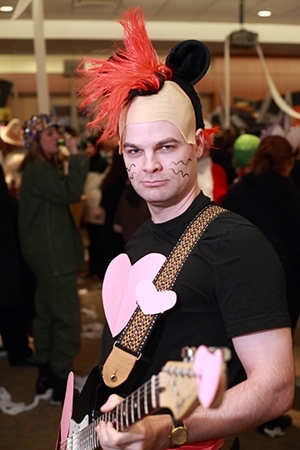 Meanwhile, the folks at Random House hold a Halloween costume competition each year between the Editorial, Marketing, and Sales departments. 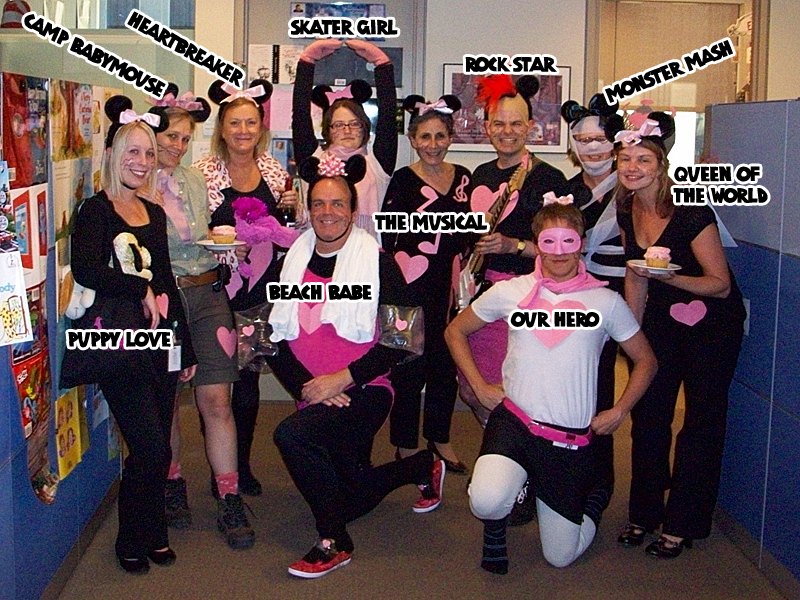 This year, members of the Editorial department each went as different Babymouse covers! Says editor Shana Corey: "So we didn’t win best costume, but our cupcakes did win best bribe to the judges..."
Anyone else out there (kids or grown-ups) have Babymouse costumes? Send me the photos!